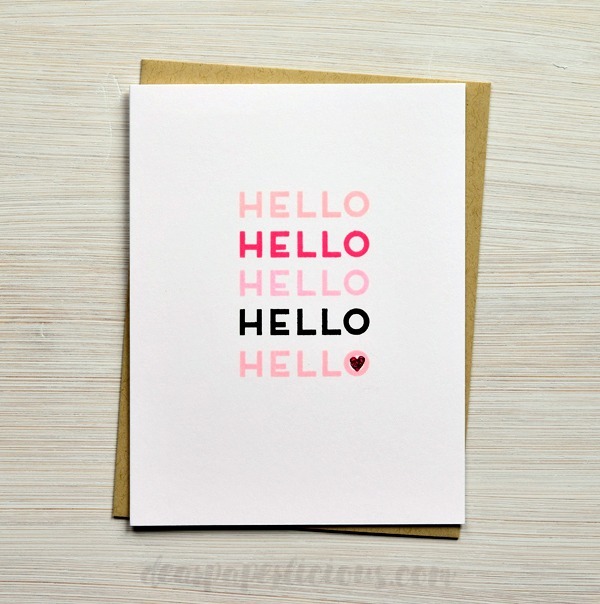 Hello sentiment is from Studio Calico Celebrate Animal. Colored the heart with a Quickie glue pen, let dry, and covered with a bright pink foil. Got the super even sentiments by using the MISTI. MOOD WHEN DONE = This is my kind of card! what a fun card and the little heart is the perfect touch! I love your kind of card. It suits you. 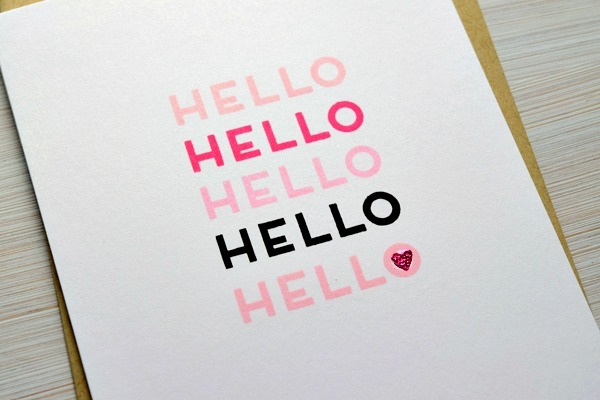 If I was shopping for a "hello" card I'd buy it. Funny how I find this so appealing yet go the opposite direction when I stamp. Oh, well, do what feels good at the time, I guess. Keep on keeping on, Joan! Love your kind of card Joan! Isn't the MISTI a girl's best friend?!! !